10 Flower Arrangement Tips For You In 2018 are you a florist at heart? Do you want your flowers to last long? We will look for some of the tips and tricks to make your flowers look as fresh and lovely as the first day you had them. Here are 10 flower arrangement tips to make them last longer and also have a polished touch. One of the 10 flower arrangement tips is to add water. As soon as you get home, put the flowers in water. You can fill the bucket with water and add some floral preservative, then put your flowers in it. Using a sharp knife, cut off the stems. You could remove an inch or so especially if the flowers will stay a while before being arranged. They should be cut at a 45-degree angle to give them more surface area when they are placed in the vases. This step will help the stems absorb water better. Warm water will help the flowers with closed heads such as roses top fully open. You could leave them there for maybe a day or more. You should use the foam from the florist to keep the flowers you have in place and make sure that they are hydrated all through. Soak them in that foam for about twenty minutes before cutting them to make them fit in a container. You should water that foam after a few days. If you want to save money while making a flower arrangement, you should buy the flowers that are in season. It does not make sense to buy those that are not in the season since they are costly and hard to find making you waste your time and money. Seasonal flowers also have a longer shelf life than those that are grown out of season since they are generally not fully developed and come from far away. Stick To One Focal Point. The best part about sticking to one focal point is that your arrangement will not be too cluttered. It may be tempting to choose flowers for a large centerpiece, but it is best to avoid that. To showcase the most when it comes to your arrangement, it is always best to stick to one point. You could use inexpensive flowers that will still make a big statement. Some of these types include stock, lavender and also succulents. They Are not expensive filler flowers and will do the job. They are also vital when creating flower arrangements due to their nature of independence and low pricing. 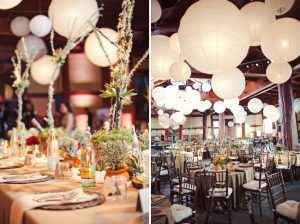 They also stand on their own as centerpieces which could also work for you. They also require very minimal maintenance, unlike some flowers which will take so much of your time and care on them. Add Flowers, Stem By Stem. While creating flower arrangements, keep the stems in mind to make them look vibrant and also fresh. You should add any new flowers by their stems while ensuring that they have been placed fully well in the vase and that they are touching the water. Pull off any extra leaves to ensure that the flowers are kept in place and also ensure that the clutter is reduced. You should stick to the mantra that less is more especially when it comes to flowers.No one wants their arrangements looking too overwhelming and also busy. Having huge displays that are over the top take away the flower beauty and even their natural look. You should ensure that you do not pick any more than five flowers for your arrangement, then you continue building from there. You should spare y7our wallet and avoid many flowers to make it look not exaggerated and beautiful. Put Your Orchid Plants On Ice. You could try using ice cubes instead of watering your orchid plants. The slow ice melting makes them grow in slow hydration and prevent them from drowning. Only one ice cube a week is what is needed. For a small plant while a bigger one will need two to three cubes a week. Making a flower arrangement does not require breaking the bank to do it. 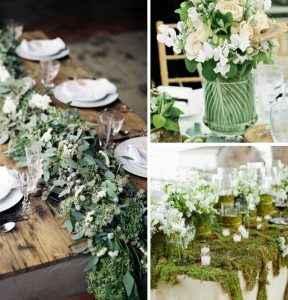 From the 10 flower arrangement tips above, you will see that it is simple and requires your careful attention.